Tara appears in Chase’s first book for Bookouture but, in my view Murder on the Marshes is the aperitif, this the fancy main course. I can’t wait to see what she serves up next. 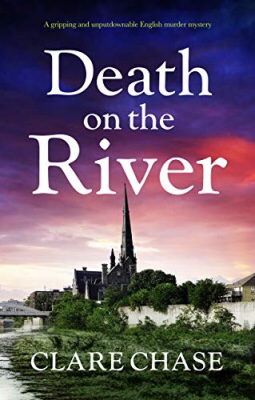 In Death on the River Tara has progressed from journalism to cop and the triangle between her, Blake and Wilkins is superbly handled. Add in a wayward wife and stray girlfriend and the tension in police central is high and that’s before the body count starts to rise. There’s so much to love about this book. The characterisations are spot on. People you both want to like and others you enjoy hating and that’s only the cops. Add in a superb tale with hatred at its heart, a tragic tale and you have a mouth-watering, Michelin 5 star read. Two women meet on a train – one young and one old. Annie, isn’t really interested in the old lady, Valerie. She has too much on her mind. But, over the course of their journey she’s dragged deep as Valerie’s story unfolds. 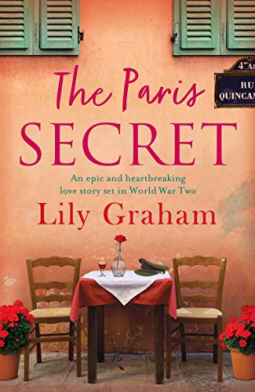 A story that takes her back to Paris, but an occupied Paris during WWII. This is a charming book, beautifully written and executed. It’s part set in a bookshop, which has an added piquancy as does the extremely well-rounded character, Vincent. It’s not what’s under the Christmas tree, but who’s around it that matters most.All Suzanne McBride wants for Christmas is her three daughters happy and at home. 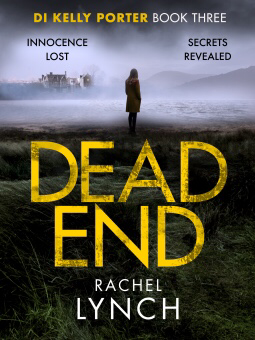 But when sisters Posy, Hannah and Beth return to their family home in the Scottish Highlands, old tensions and buried secrets start bubbling to the surface. There’s nothing wrong with reading Christmas books in September, especially if they’re written by this lady. I’m a huge fan and first in the queue when she has a new release out – and this book certainly didn’t disappoint. I have noticed a shift in her writing in both her previous book and now this one but it’s all good. I think I read something about a different editor but, whatever the reason, the writing is more rounded and the plot a little darker. You’re still going to get the trademark HEA but there are a few more bumps along the way to keep those pages flipping. A story about three sisters who’ve drifted apart since a trauma buried deep. Three very different sisters, who always come home to Scotland for Christmas. This time, two sisters arrive early and Posy, who’s the stay-at-home one is desperate to leave the stifling clutches of such a small town setting. Told in the third person narrative and with the POV of each of the sisters and Suzanne, their mother, this is a delightful read full to the brim of Christmas cheer and a tree called Eric. 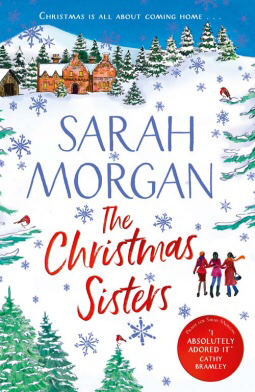 If you’re a fan of theses type of books you’re going to love what Sarah Morgan has come up with. I have no words, only feelings, and a mishmash at best for this book, but I’ll do my best to share my thoughts. 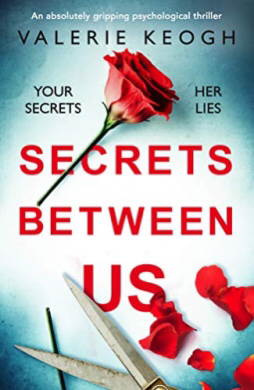 On breaking it down Secrets Between Us is a character-driven novel that hangs on three individuals: Ellie, Tia and Will (Ellie’s husband). Oh, there are more than just three but they’re all minor. But unlike other books in this popular Psychological Thriller genre Keogh has done the previously unachievable. She’s made the reader invest in these characters as people. Yes. All three of them. I don’t know how she’s managed it but she’s made all of her MC’s equally likeable and hateable (I know it’s not a word, but it should be!). She not only managed to grab me from page one she had me rooting for each one in equal measures. The ending is superb, brilliant even and left me with the book-hangover from hell. I had to resort to a vintage Mills and Boon to cleanse my palate of all things Keogh and I still can’t get that ending out of my head. She’s managed to leave a never-ending trail of thoughts in her wake over this book. I was lucky enough to read a very early ARC of this book. My thoughts and opinions are my own.